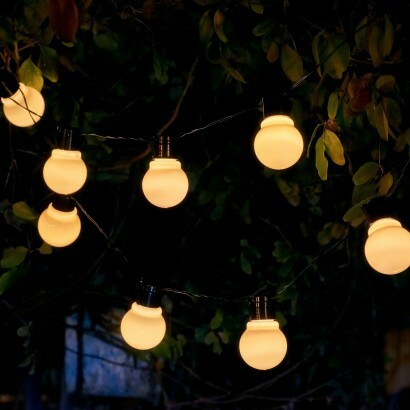 Create a magical party atmosphere in your garden with carnival styled white festoon lights. 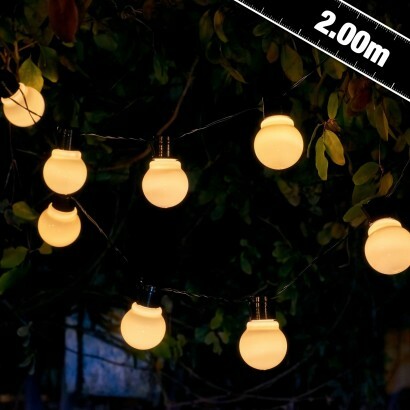 Solar powered, these decorative festoon lights come with 2m of cable from the solar panel to the first light allowing for easy placement so that you can enjoy enchanting lighting on lazy summer evenings. Choose from static or flashing light functions for classic festoon lighting whatever your occasion. 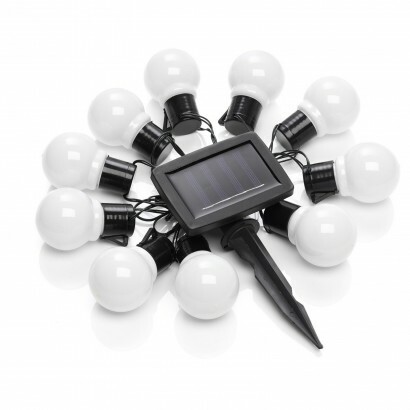 Simply place the solar panel where it'll receive maximum exposure to light and these festoon lights will sense darkness to automatically switch on for up to eight hours of light a night.